We motored over to Anacortes on Thursday 3/19/15 to attend our Alaska Seminar for the weekend. It was interesting crossing we had very high winds on the beam side so needless to say we were rocking and rolling for several hours. I decided to take my shower after the swells decided to subside but that did not last for long. It was interesting trying to stay straight up in the shower. Ron decided he would wait until we got to the marina… “chicken”. Thank God I did not get seasick although I think the animals were feeling it a little bit. I am so glad that we motored over Thursday as we had 40 mph winds gusting to 50 mph all day Friday. The best part was watching the boats coming in to the maina. There was one boat that came in to the marina and was going side ways and we were saying glad that was not us as it looked pretty stressful. The Alaska Seminar was very exciting and oh so many places to go. We are leaving May 16 on a flotilla which is about 8 boats all going together to Ketichan and should arrive on June 6, 2015 weather permitting. Then we are going to spend the rest of the summer cruising Alaska and will try to get as far as Sitka. Just a little knowledge that it took us 5 hours to go 45nm (nautical miles). 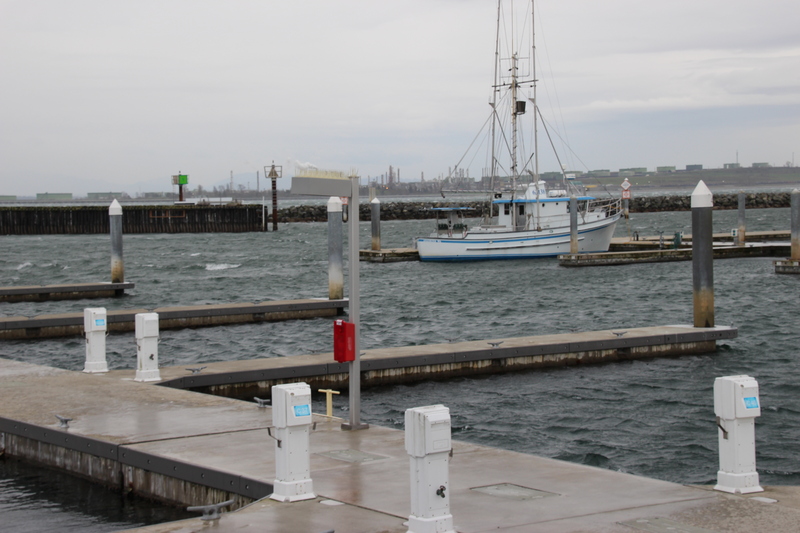 Below are a couple of pictures of the marina with winds blowing 40-50 mph. The marina should not have white caps. Also we are there almost my ourselves. 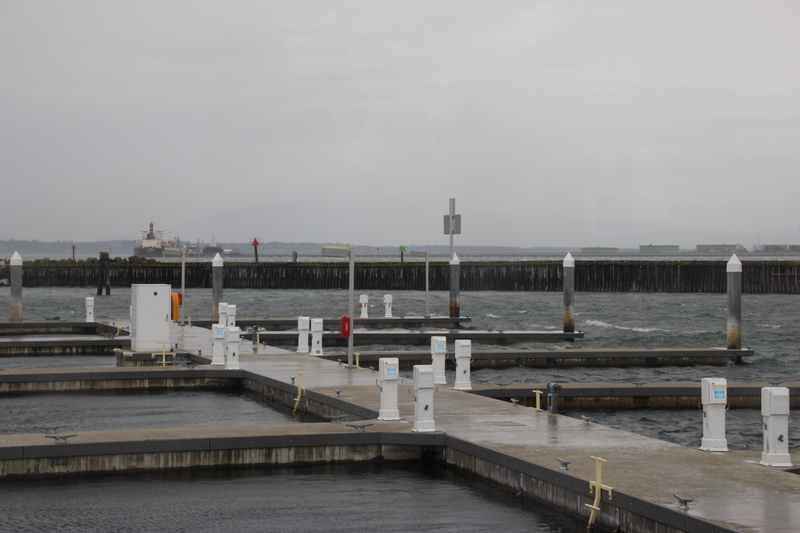 Boating season doesn’t start until May 1, so guest docks are open. Wow! I love your blog! It is really fun and makes Bob and I feel as if we are right with you and Ron. We are very excited to hear about your travels. We are also excited to see you in Alaska for Bob’s birthday in July! God speed to you both.